Explanation: Where do comet tails come from? There are no obvious places on the nuclei of comets from which the jets that create comet tails emanate. Last year, though, ESA's Rosetta spacecraft not only imaged a jet emerging from Comet 67P/Churyumov-Gerasimenko, but flew right through it. 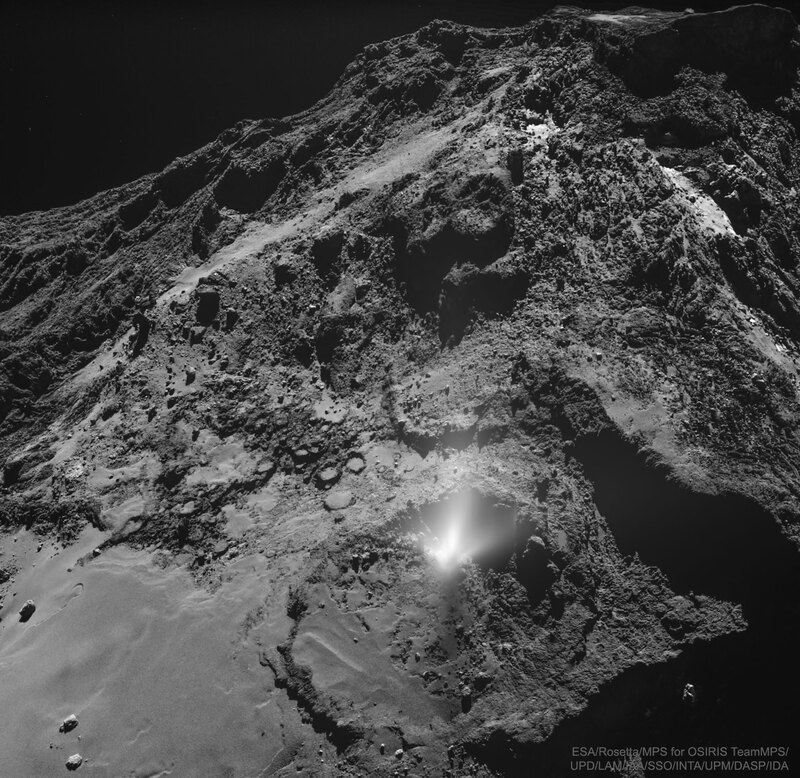 Featured is a telling picture showing a bright plume emerging from a small circular dip bounded on one side by a 10-meter high wall. Analyses of Rosetta data shows that the jet was composed of both dust and water-ice. The mundane terrain indicates that something likely happened far under the porous surface to create the plume. This image was taken last July, about two months before Rosetta's mission ended with a controlled impact onto Comet 67P's surface.